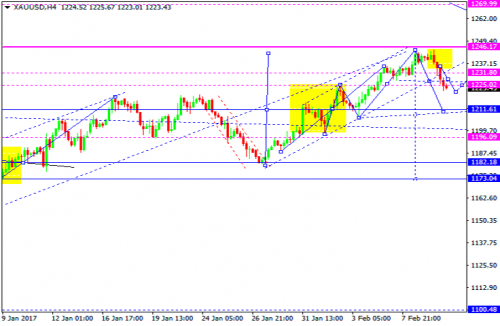 Gold is forming the first descending impulse. Possibly, today the price may reach 1220. Later, in our opinion, the market may grow towards 1233 and then, after breaking the low, continue falling with the target at 1185.